We all know Wednesdays can be tough - that weekend finish line so tantalisingly close and yet so far. That’s why we’re livening up your midweek, with a brand new food offer. From 6pm every Wednesday, we’re offering any two mains and a bottle of house wine for just £30. With our newly revamped food menu, you’ll find everything from indulgent American classics to healthy lentil stews and seafood with enough flavour to sink a ship. Philly flat steak, LA grilled octopus and chickpea curry are just some of the scrumptious dishes to choose from. 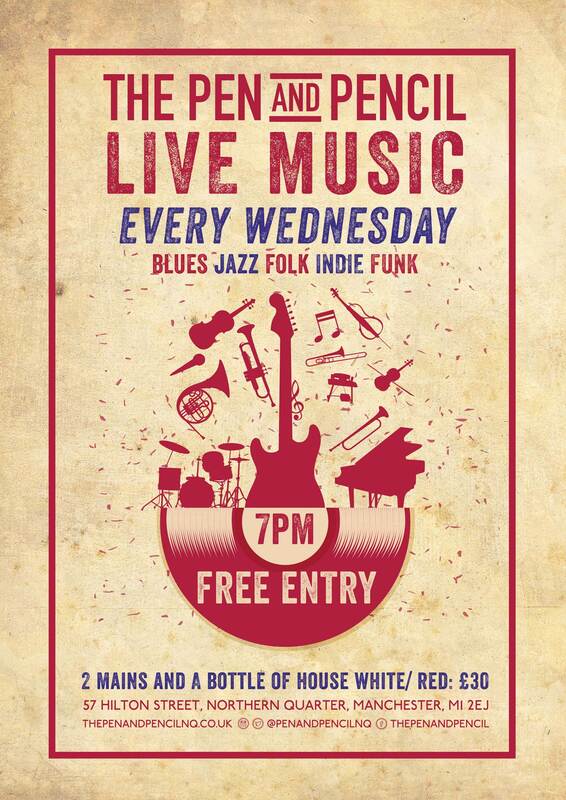 What’s more, every Wednesday we have performances from amazing artists across blues, jazz, folk, indie and funk. So you can enjoy live music as you wine and dine.